The Greater Mekong Sub-region comprises of Cambodia, Laos, Myanmar, Thailand and Vietnam. UCL Energy Lecturer Gabrial Anandarajah is leading the project titled “Effective energy efficiency policy implementation targeting “new Modern Energy CONsumers” in the Greater Mekong Sub-region (MECON). This project, launched in June 2013, investigates energy efficiency amongst “New Modern Energy Consumers” in the GGMS countries in order to improve policy design and implementation of energy efficiency measures. New modern energy consumers, i.e. those who are connected to the electricity grid with daily incomes of US$ 2 to 5, are expected to account for a large share of the expected increase in energy demand and thus GHG emissions. However, this target group does not exist in OECD countries and there are therefore few examples of energy efficiency policies that can be replicated and/ or adapted to the GMS, yet this target group will be essential to economic development in the region over the coming decades. MECON aims to improve our understanding of the opportunities and barriers to increasing energy efficiency amongst new modern energy consumers in the GMS. The project will establish a robust evidence base on energy use, energy efficiency technologies and policies in the region and will focus on the energy resources and technologies that are used by new modern energy consumers, including household electricity use for lighting, heating, cooling, and appliances, as well as fuels for cooking and personal transport, such as motorbikes. The research will contribute to knowledge on the design and implementation of energy efficiency policy by looking at the opportunities and barriers from technological, socio-economic and institutional perspectives. MECON is timely since energy demand is expected to increase rapidly over the coming decades, particularly in Asia and in large part as a result of energy consumption from new modern energy consumers. Targeting this important consumer group will have positive development outcomes on household economies, national energy demand and on GHG emissions. 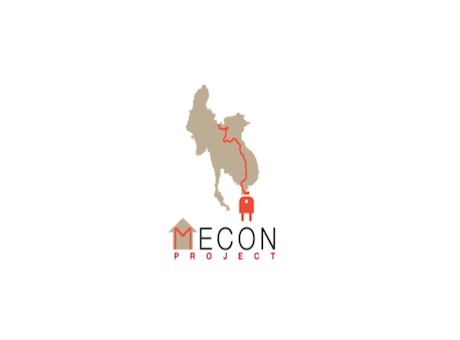 By assisting the countries of the GMS – Cambodia, Laos, Myanmar, Thailand and Vietnam – to realise sustainable energy access for all rapidly and cost effectively, MECON will reduce the environmental impacts of this increased demand. MECON funded by DFID, EPSRC, DECC brings together UCL researchers Gabrial Anandarajah and Julia Tomei with researchers from partner institutions in GMS countries JGSEE (Thailand), NUOL (Laos), MES (Myanmar), HUST (Vietnam) and RUA (Cambodia).